Is your furnace showing signs of wear and tear? Schedule an appointment for Noonday furnace repair. Small problems are cheaper and easier to fix than large ones, so delaying a problem is never a good idea. AC Contractors is the #1 heating and AC company in East Texas. Homeowners trust us every day to work on their heating equipment and improve their indoor comfort needs. If you need Noonday heating repair, call AC Contractors today! You’ll love our prices. You’ll love our service. And you’ll love your home again! AC Contractors is the largest residential heating company in our area. We are locally owned and operated and have an A+ rating with the BBB. What sets us apart from other companies is the quality of service we provide. In order to deliver a high standard of workmanship, we employ expert technicians. All techs have extensive training and hands-on experience as well as the proper certification. They are all background checked and drug tested, too. Another thing that makes our Noonday furnace repair services stand out is our satisfaction guarantee. All repairs come with our “fixed right or it’s free” guarantee. If all repairs are made and your unit breaks down within one year, it’s free! 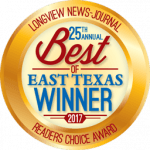 Better work and better guarantees assures customers that their investment in furnace repair in Noonday TX will be worth it! Is it Time to Call for Noonday Heating Repair? Most people spot indications of trouble with their heating system, though some of the signs can be subtle. Here are the things to pay attention to that may indicate the need for Noonday furnace replacement services. The best time to call for Noonday furnace repair is at the first sign of trouble! Don’t forget to check out our convenient maintenance plans that will get you on the right track with a healthy, efficient furnace!